Time magazine released its yearly “100 Most Influential People” list Thursday. These annual lists always felt pretty “Mean Girls”-esque to me, but I read the list this year with a new perspective. I thought about what an honor it would be to be labeled influential by a publication as prestigious as Time. Then, I took a closer look into the names on the list and was pretty pleased by the diversity of the categories. Coming from a strong background in the arts, when I think influential, I can name a long list of playwrights, artists and musicians who have all influenced my life in one way or another. I was elated when I found out that the man, the myth, the legend Lin-Manuel Miranda was among the people who had received this honor. As I read on, I was even more pleased to read the many names of artists who had also received the honor this year. Prominent figures in the arts and entertainment world were heavily noted on this year’s Time cover. This year, two of the covers featured Leonardo DiCaprio and Nicki Minaj. What I find most admirable about Time’s decision to include these figures in its influential list is that it is highlighting artists who deserve more recognition as influences and giving them proper status next to more publicly recognized influential individuals like Mark Zuckerberg. Artists influence our world in more ways than we might always realize, and it is so important that we begin to recognize and acknowledge their talent. Time has taken a step in recognizing this influential power by including various types of artists in its list of whom it believes to be influential. 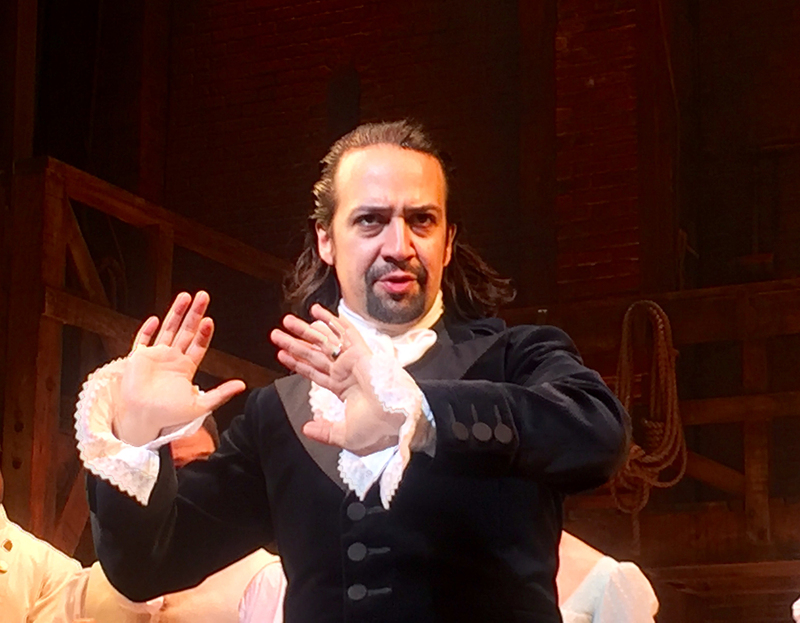 More specifically, the revolutionary new American musical “Hamilton” is spinning the wheels of change as well. To date, the musical, which was written by, composed by and currently stars Lin-Manuel Miranda, has won a Pulitzer Prize for Drama and a Grammy for Best Musical Theater Album, which has put the show in the view of those who might not have normally come across it. Seeing Miranda’s face on the cover of Time next to the words “Most Influential People” is once again spinning the wheel and spreading awareness of the power of art. I believe there is a huge lack of recognition for artists in our society as influencers. When they are recognized, they shy in comparison to others. This mindset could not be less true, and Time has done a phenomenal job of displaying the importance of recognizing the influence that talent and hard work of artists everywhere can have on our society.